Newcastle Mobile Brake Specialists is a family owned and operated business. We provide a personalised friendly service. 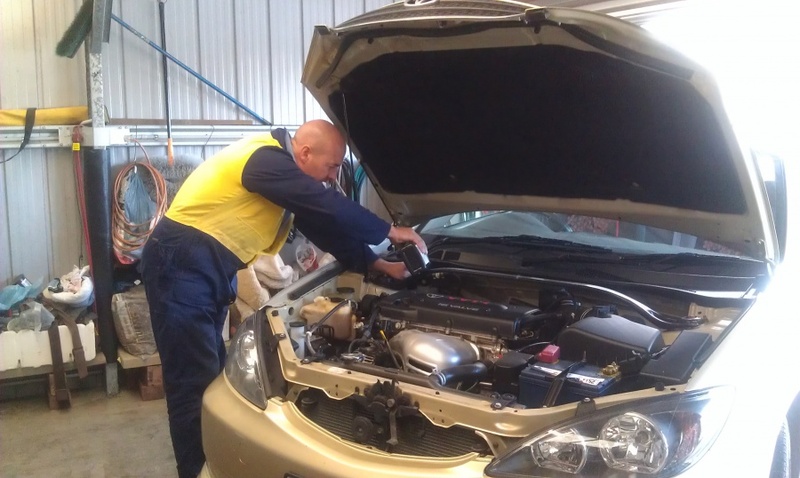 As our name suggests we specialise in brake repair and bringing our brake repair mobile workshop to you, however we still work from a fixed workshop site also when the weather isn't favourable or a Registration Inspection is required. Being that we specialise in brakes and brakes only we are focussed and proficient in that one area and respond quickly to enquiry often on the same day. We have the latest in precision brake repair tools, equipment and knowledge and backed by over 25 years of industry experience you can rest assured the repairs are carried out to the highest standard. Newcastle Mobile Brake Specialists source the best quality and value for money brake replacement parts available being extremely competitive with all makes and models from new to old. We require a hard level surface by which to work on or alternatively you can bring the vehicle to us at the workshop of 72 Buttaba Ave Belmont North.